Win a Copy of Rob Zombie’s 31 on Blu-ray! 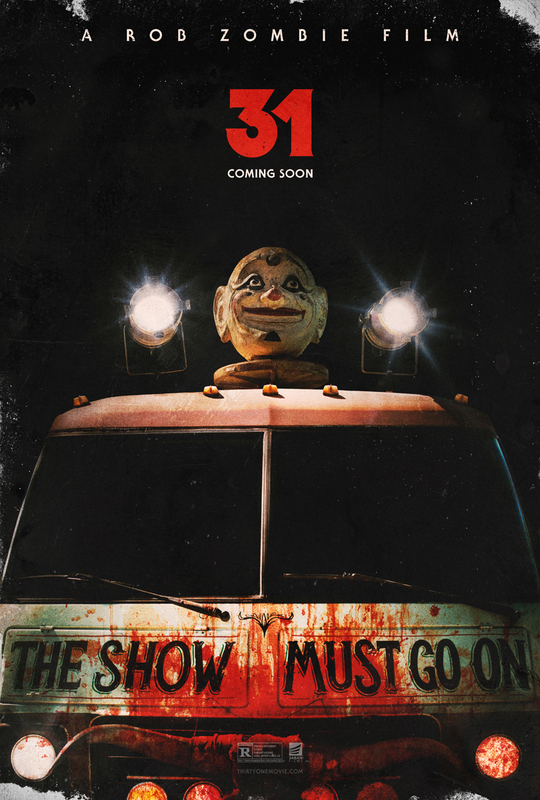 Synopsis: From the visionary mind of Rob Zombie comes the horrific story of five carnival workers who are kidnapped the night before Halloween and held hostage in a large compound. At the mercy of their captors, they are forced to play a twisted game or life or death called 31. For the next 12 hours they must fight for their lives against an endless parade of homicidal maniacs. 31 stars Zombie’s wife and muse Sheri Moon Zombie as well as counterculture legend and Zombie regular Malcolm McDowell (A Clockwork Orange, Halloween), Jeff Daniel Phillips (The Lords of Salem) and Meg Foster (They Live). Zombie wrote and directed the film and draped his crunchy hard rock sound all over it too. To win your very own Blu-ray/Digital HD copy of the movie (SRP $24.99), email [email protected] with the words “Rob Zombie’s Not Clowning Around” in the subject line. 2 winners will be chosen at random. Good luck!